Every year, JCC Manhattan's ReelAbilities: NY Disabilities Film Festival attempts to reach new heights when it comes to making the movies we screen accessible for everyone. We create captions and audio description, and we screen in multiple locations (37 this year) in order to truly reach the community. We go to great lengths to try to create an atmosphere that is inviting for every conceivable audience member. But every year we are surprised to learn how far we have to go. After the opening night screening of The Finishers at The Intrepid Sea, Air and Space Museum, our energetic audience joined together for a party at the Hudson Terrace. It was a packed crowd in a beautiful space overlooking the city. It was truly the most diverse party I have ever been to. People of all shapes, colors, sizes and walks of life joined together and celebrated inclusion. Wheelchairs rolled through the room as well as multiple aid dogs. How often do you see that at a glamorous New York City party? This could only happen because the Hudson Terrace has elevators and a ramp that allows complete access to the space - disability or not. This should be standard for all venues. At the festival's packed Friday night dinner at JCC Manhattan, the topic of conversation was the 25 years of the Americans with Disabilities Act. Moderator Lawrence Carter-Long, noted that the idea used to be, "nothing about us without us" -- meaning that decisions relating to the disability community should not be made without representation from the community. A quarter of a century later, he explained, the notion is evolving into, "nothing without us." Plain and simple. For instance, public spaces should be designed to be accessible for people of all abilities. Offices, meeting spaces, parks -- everyone should be included. We should be a society that builds ramps whether it is requested or not. It is not that disability programs should be accessible, it is that everything should be accessible, and the disability community should be accessing like anyone else. People with disabilities should be everywhere. Our society believes in inclusion, but is not completely there when it comes to disabilities. 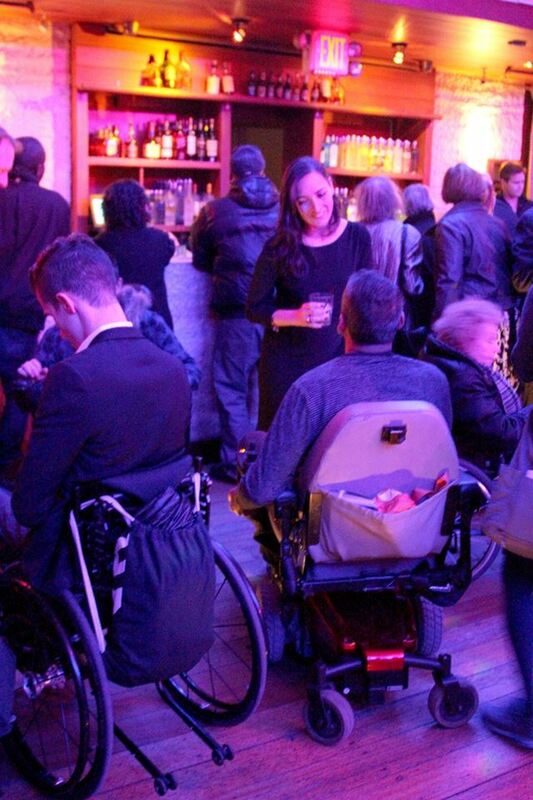 People are not ashamed to wave their hands and make faces when I tell them that I run a disability film festival. I cannot say how many times I am approached by "liberal minded people" who question why ReelAbilities is an important festival, or express openly that they are not comfortable with this subject matter. These same people would cry out if something like that was said about any other minority. While leaving JCC Manhattan late Friday night after the dinner, there were five people in wheelchairs left in the lobby. The building had technically closed, but they kept the front doors open as patrons waited for the elusive Access-A-Ride. This is a necessary service by the MTA for people with disabilities, however, often you need a very big window of time for pick up. In fact, many in the disability have dubbed the service "stress-a-ride" due to the complications that regularly arise. The group shared stories on the nightmares of waiting for hours this winter on freezing corners of the city to be picked up. Eventually, five Access-A-Ride vans pulled up in front of the JCC. JCC Security helped each individual find the correct van for them. But getting to and from a night out, or a job, or school -- something most non-disabled people can still take for granted -- should not be a stressful endeavor. I am not sure all buildings have the ability to be as accommodating. It is costly to keep buildings open overtime, and often, people in wheelchairs are forced to wait out in the cold. With everything we are doing to make our world more accessible, I think we still have a long way to go. But I think for anything to change, we need to change attitudes about people with disabilities. People with disabilities first need to be seen. 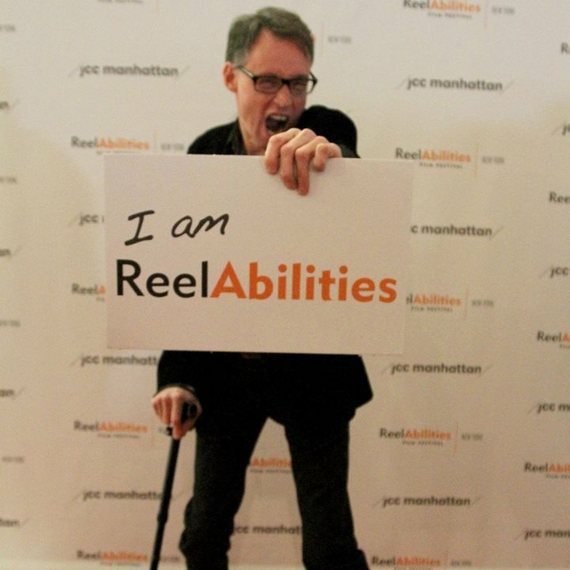 Everyone needs to be seeing ReelAbilities' films to taste a little more of the lives of almost 20 percent of our population, who are drastically overlooked. ReelAbilities too can improve its accessibility and this needs to be done at all costs. But this cannot happen without raising awareness, and what better way to raise that awareness than with great films, that engage and transform? From topical documentaries like Autistic Like Me: A Father's Perspective on parenting children with autism, or Mimi and Dona about care giving for aging, to family friendly feature films like No Ordinary Hero: The Superdeafy Movie, that show lives and stories of people with disabilities that are too rarely seen. The stories we see become the stories we tell. And inform our expectations. Leave certain groups, with unique insights out, and we all are diminished. The curb cuts fought for by wheelchair users before the ADA became law also assist people with baby carriages, those carting luggage, and even pretzel vendors. This was not imagined when the fight for sidewalk access was waged but the benefits enhance the quality of life for everyone. The same is true for the movies we watch. And the audiences who attend them.